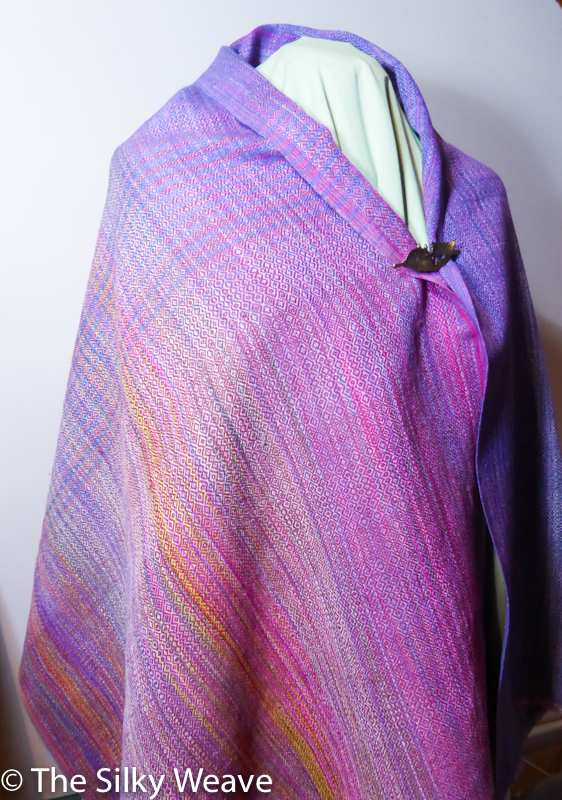 One warp can become a lot of rectangular items: a baby wrap, a loop scarf, or a shawl. 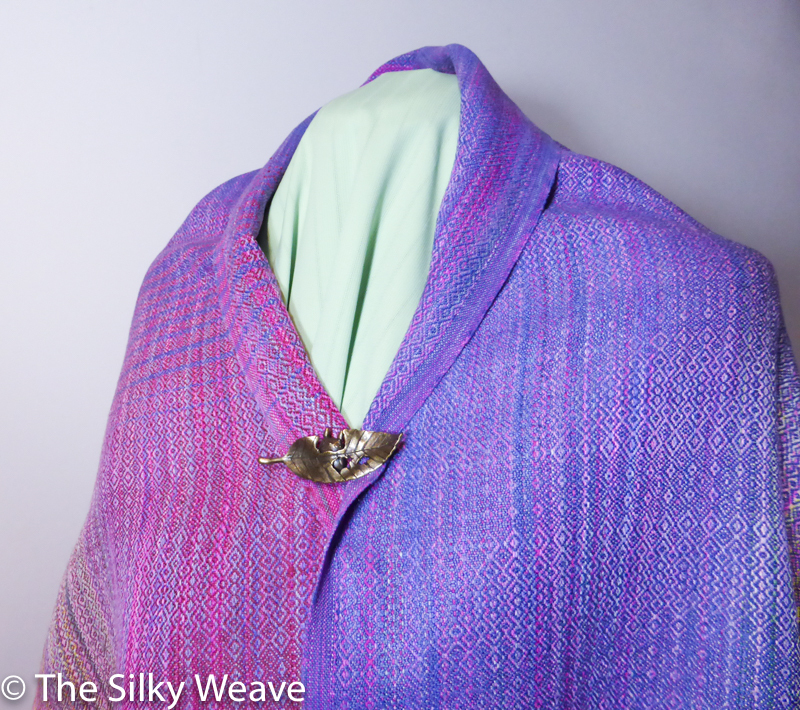 This shawl is woven in diamond weave variation. 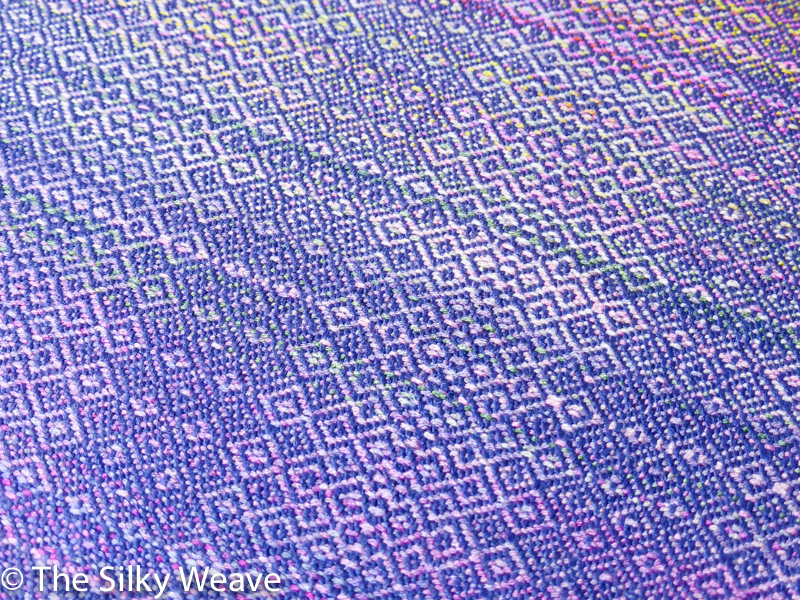 2/3 are woven with blue silk and 1/3 – with maroon ramie. And this is a close-up shot of my shawl pin that I use to wear my shawls. Totoro from Ghibli, on a leaf.